A.C. Thompson, winner of the 2011 I.F. Stone Medal for Journalistic Independence, talks about what's missing in a lot of crime reporting these days. A.C. Thompson received the 2011 I.F. 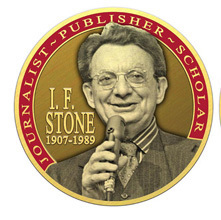 Stone Medal for Journalistic Independence on October 4 at Boston University. Thompson is a staff reporter for ProPublica whose work frequently exposes social injustice and the abuse of power. 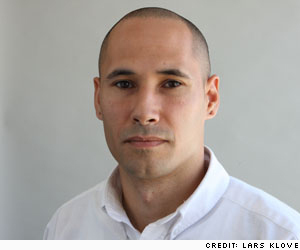 His reporting on events in the immediate aftermath of Hurricane Katrina was critical to the uncovering of a string of racially motivated killings of unarmed civilians by New Orleans police officers. He spoke with Nieman Watchdog about criminal justice reporting. There's no shortage of crime reporting out there, but should there be more media coverage in areas where you've made such a name for yourself, namely criminal justice and human rights? I think the issue is that most crime reporting is a lot like what you see on the crime dramas on TV, which means that it lack nuance, it lacks an independent viewpoint, in that it's typically told through the lens of law enforcement, rather than coming at the stories with a more independent view, and highlighting the nuance and complexity of the justice system. Are most police reporters too credulous? I think that's a big problem. I think that part of the problem is that reporters tend to work on short deadlines and they're cranking lots and lots of stories out and often they don't have the time to take the longer view and the deeper view of a story. And so what you get is what the DA said at the press conference, what the police chief said at the press conference -- and not a deeper story about what really may be going on. But it's also hard as a police beat reporter or as a cops and courts reporter to do a lot of stories that challenge the authorities, because it instantly makes your job a lot harder. A lot harder. What can be done to get more journalists to seek out what you refer to as the "unheard voices", rather than the so-called authorities? I think part of it is what we're seeing with the new non-profit investigative reporting centers and projects. I think you're seeing really good critical reporting coming out of those entities and that's a great thing. In some cases they're a little less tied to the authorities and tied to the need to have a daily drumbeat of crime stories. The other thing is there's papers and places that are a real model for doing this work well, and one is the Milwaukee paper, the Journal and Sentinel. If you look at what they're doing as far as investigative reporting and urban issues in general and some very, very good law enforcement reporting. You'll see reporters who are teaming up with beat reporters to do big projects. You'll see reporters who are focusing oftentimes on rather than getting every story, let's get the most important story, even if that means taking more time and even if that means offending some of our sources -- the authorities that we need for stories. It's a matter of priorities. How did you feel when the federal juries delivered their guilty verdicts in the Henry Glover killing, and the Danziger Bridge killings in New Orleans? Yeah, wow. You know, you don't even really know how to feel about those things as a reporter. How am I supposed to feel? I don't know. The thing that I felt is: These were families that no one had listened to, that nobody cared about. And finally people were taking them seriously and people were saying: We will figure out what happened to your families. And we will dig in and investigate. And this is all going to come before a jury. To see the Glover family in court, and getting to finally tell their story to the jury was really important to me. What got you started in this field? I came to journalism through a couple things. One was that I was working, teaching writing to kids who were incarcerated in Northern California. And it made me realize that there was a secret world out there that people didn't know about, that wasn't like anything you saw on TV, and it wasn't like the stories you read in the newspaper. I wanted to expose that secret world and to allow those kinds of kids to tell their stories. The second thing was I went through a journalism training program when I was in my early 20s. With Sandy Close and New America Media, and we put out a publication called Youth Outlook. So getting that kind of training and direction, and getting somebody to help teach me the craft of journalism was really what pulled me into it. For me, nothing I do is ever any good…. I feel like this is in part…. it's the quest to do masterful work. And each story that I do I feel could be better, it could be told more elegantly, it could be presented in a way that will capture more readers, and be more dynamic. So I'm always striving to do better and better stories, and to do stories that break new ground. And so I'm just on that quest. Dan Froomkin is the deputy editor of the Nieman Watchdog Project. He is also Senior Washington Correspondent for the Huffington Post. Not to take away from Thompson’s fine reporting on LEO abuses post Katrina, but the title of the article “Not depending on the authorities to tell the story” is a joke right? Using a phrase like that in reference to I.F. Stone, with his now well documented clandestine work for the KGB well established, is a slap in the face to all honest journalists.